Size:The pendulums measure about 7" long with the gemstone itself measuring approximately 1.5"-2" long. 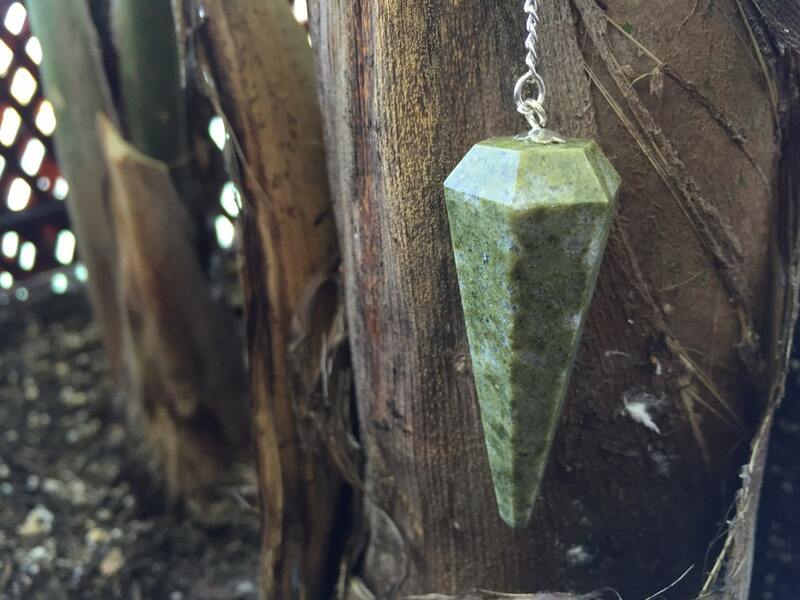 I absolutely love my little Vesuvianite pendulum. 💓 It has a clear quartz bead on the end of a plain silver chain...as pictured. Cindy was beyond sweet and helped me pick out the pendulum meant for me. Would definitely recommend giving her shop a look!